Out among the dead, Azraeuz meets up with Yurrd. The human bodies are being consumed by the essences of the Horsemen, and while it is not unpleasant, they need bodies able to contain their essences. Using his powers, Azrauez raises the dead of Bialya, a veritable army to serve in the Four Horsemens’ resurrection. Using the corpses to communicate, Azrauez directs Rogga and Zorrm to his and Yurrd’s location. They also have control of President Rashid, who will frustrate the superhero and international communities attempts to respond to the situation. Unaffected, Superman and Batman observe the situation and contact Mr. Terrific. When the JSA raided Chang Tzu’s compound, Terrific was able to download the Four Horsemens’ schematics and gives them a rundown: Rogga is able to induce aggression in others, Zorrm is able to control various plague carrying creatures, and Yurrd, who is unlikely to manifest as a crocodile this time, can induce hunger in others. The biggest problem will be Azrauez, who has control over the “Mortuus Dominion”, an unknown realm which allows him control over corpses, explaining the army of the undead walking about Bialya. On Oolong Island, Rigor Mortiss and I.Q. are arguing over a technorganic experiment gone wrong, which I.Q. blames on Mortiss’ incompetence. Entering the discussion, Veronica Cale informs them that the United Nations has recognised Oolong Island as a sovereign nation, and which means that since Cale is Head of State, project failures can be viewed as crimes against the state, such as treason. Suitably intimidated, Mortiss says there will be no more mistakes, while I.Q. says that there will. Cale places him in charge of Mortiss’ experiments. At her quarters, Cale talks with the Calculator on what is going on in Bialya, but it is currently limited to GNN and the like. Whatever operations the United States and Checkmate had were likely destroyed in Black Adam’s rampage. However, Calculator will be able to hack into Checkmate’s servers and provide Cale with whatever information they have, in exchange for full citizenship and diplomat status in the event he is caught. Baron Bug then enters with some insect surveillance drones which will be able to get into Bialya and up close and personal. In Bialya, Superman does a fly over of the entire country. Everyone is on the march, save those manning the borders, while the neighbouring countries are terrified on how to act. 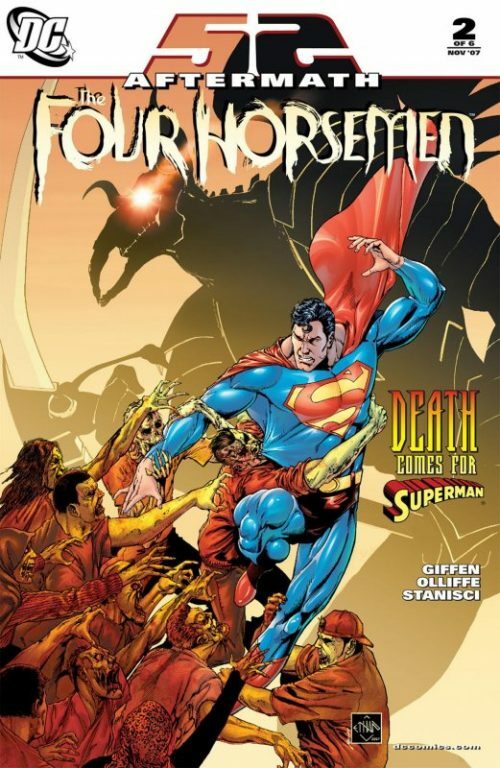 Superman is also aware of where the dead are going: a mound made of earth and corpses near two pyramids. Inside, the dead build the new bodies of the Four Horsemen, who currently inhabit them and discuss their situation. 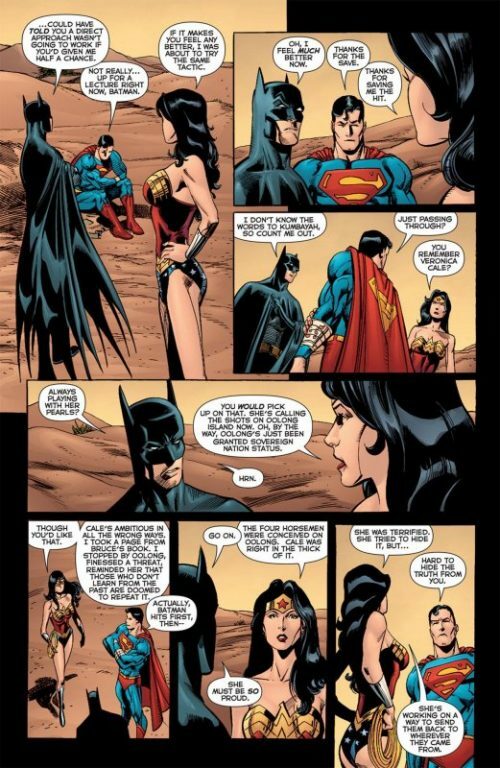 They know Superman is a Kryptonian, and almost as strong as Black Adam, while Batman is a “standard” Terran. Since they are too weak to endure a direct confrontation, they decide to make a preemptive strike to hold the two heroes off. Reaching the city nearest the mound, Batman notes that it’s “interesting”, to Superman’s disgust. As they debate on how to act, Zorrm sends a swarm of pestilence carriers towards them. Depositing Batman far enough away from the mound, Superman charges, using his heat vision to destroy the insects before him. Suddenly, he is overwhelmed and falls to the ground. Bleeding and hungry, Azraeuz reveals that Yurrd and Zorrm are affecting him. 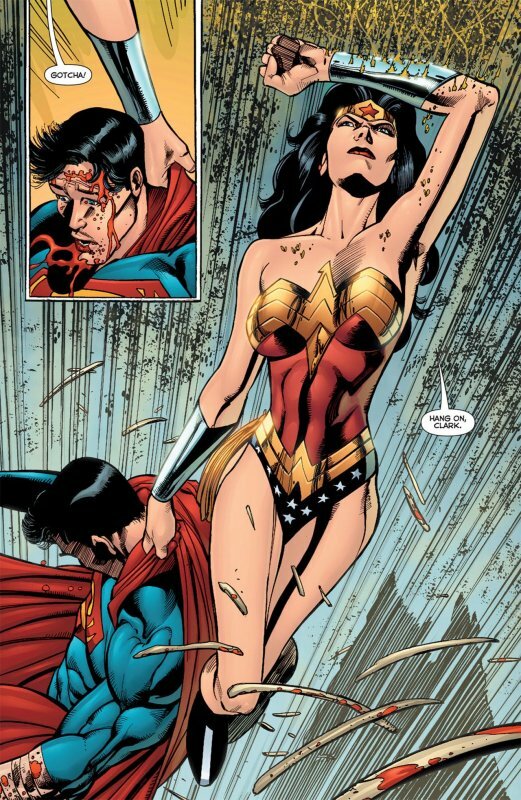 As Superman tries to resist, Wonder Woman shows up and flies him to safety. 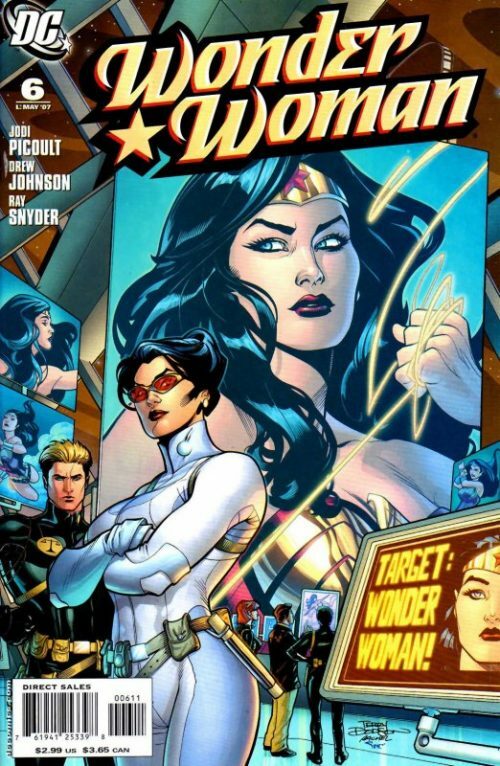 As they regroup, Wonder Woman updates the two on Oolong Island’s recognition as a sovereign nation, and Cale’s plan to send them back to wherever they came from, thinking that they should help her. Although Batman is less than thrilled about working with Cale, Superman points out that it’s their best hope. Little do the three heroes realise that they are by watched by someone they know quite well—former JLA mascot Lucas “Snapper” Carr.